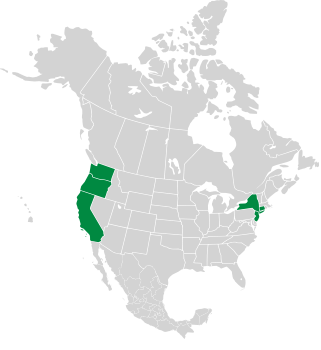 Pickleweed is native to the Pacific coast of North America. 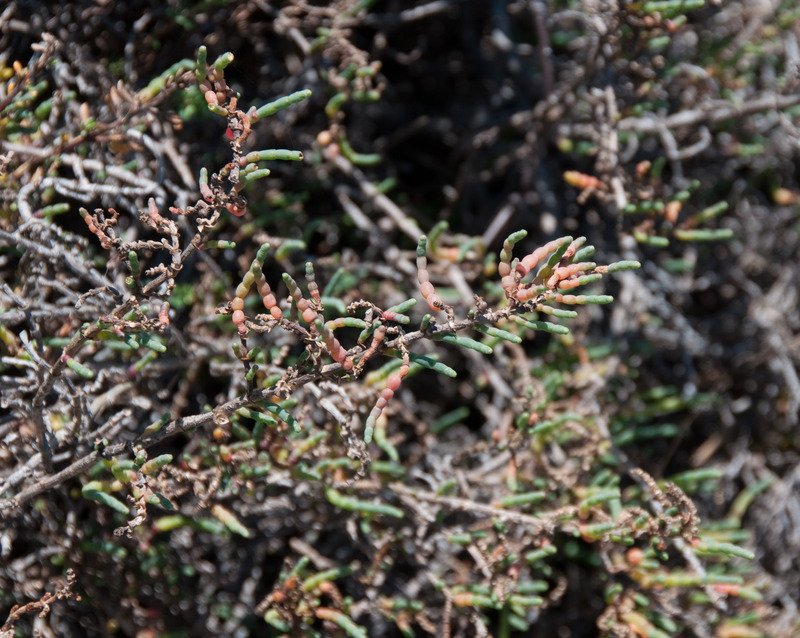 Identification: These woody shrubs may be upright or close to the ground, and are 4-20" (10-50 cm) high. Branching is highly variable. Younger branches are composed of pickle-like green segments ⅛-¾" (5-20 mm) × ¹/₁₆-⅛" (2-4 mm). 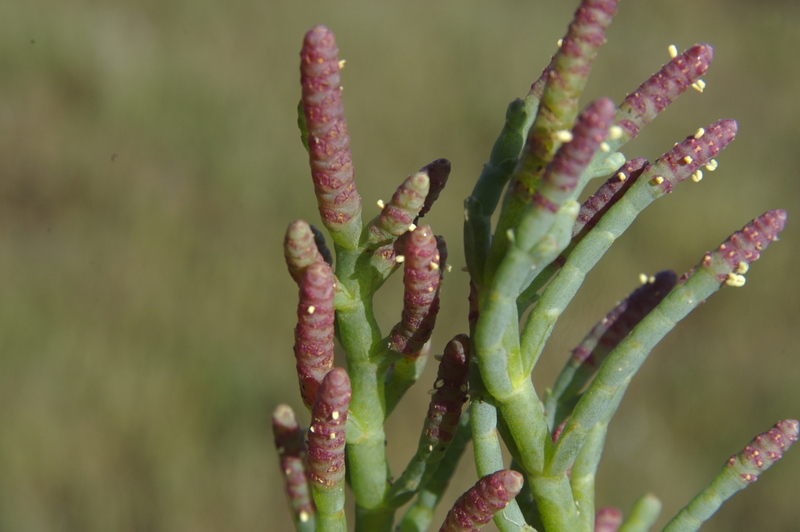 This, and the location in coastal salt marshes and tidal flats, are the key identifying features. 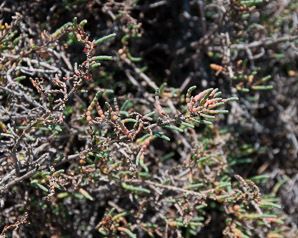 Branches have reddish tips. Sarcocornia pacifica description by Thomas H. Kent, last updated 2 Jan 2019.